For those who spend long stretches of time lying down, the heels are one of the most vulnerable areas to pressure ulcers. The Softform Pressure Relief Heelpad (Double) is designed with two pressure-reducing gel heel sacs, one for each heel, allowing excellent weight distribution and pressure displacement. Keeping a patient's heels protected and comfortable, the gel sacs in this pad are filled with a controlled volume of fluid, ensuring consistently even pressure distribution. The Softform Heelpad is normally supplied in a fuschia colour as seen in the image above, but is occasionally supplied in blue based on availability of materials. 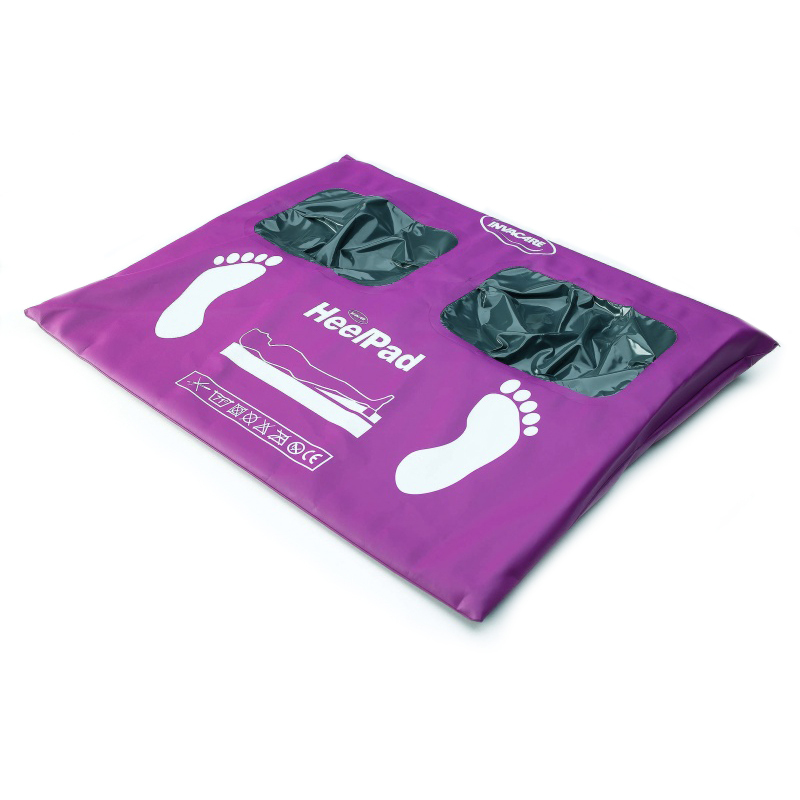 The Softform Pressure Reducing Heelpad enables vulnerable heels to be immersed into an independent gel sac, providing great pressure reduction and comfort for users. This will significantly reduce the risk of pressure sore development, providing peace of mind for bed-bound users. This product is best when used in conjunction with the Softform Odstock Wedge. This provides an ideal positioning angle for your legs, further enhancing pressure relief and comfort. This product sold on the page is the double pad for both heels. To provide pressure relief for only one heel, there is also a Single Heelpad available. Softform Pressure Reducing Heelpads are supplied with three protective platilon covers. Platilon protective covers are disposable, helping to avoid contamination of the heelpad.